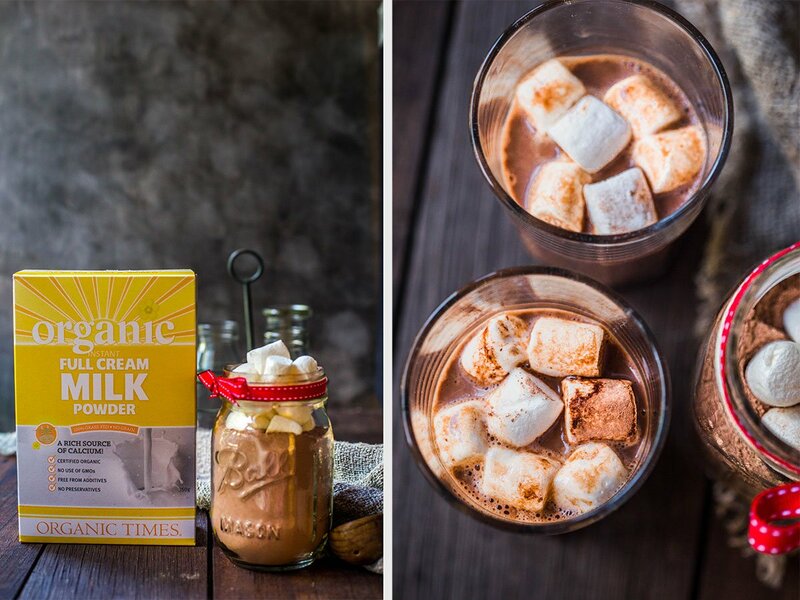 When you specialise in all things chocolate and also offer a fine range of pantry staples, it’s no surprise that we constantly get asked to bring out an Organic Times Hot Chocolate Mix. 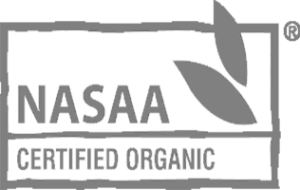 The funny thing is, we actually do make an amazing chocolate drink mix, using our Organic Times products, however so far, it has only been for the OT team, in our staff room to enjoy. But the wait is over, you can now whip up this chocolate goodness for yourself. Just follow this simple recipe, using our premium ingredients and you’ll have some ready to go, anytime. For a great Christmas gift idea, just add a mason jug and some festive ribbon….Voila! In a high-speed food processor, add chocolate drops and pulse until just broken up. Add the cocoa, sugars milk powder and salt. Pulse until well combined. Scoop the mixture into glass mason jars, top the mix with the marshmallows and screw on the lid. In a small pot, combine milk and cocoa mix. Whisk together gently over a medium heat until well mixed and steaming.